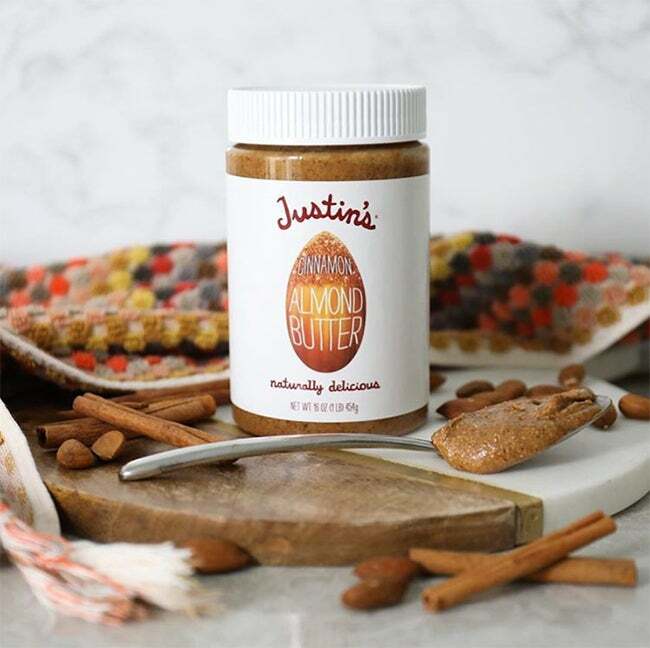 Justin Gold, who had been working part-time jobs while building his eponymous nut butter company, says that from about 2006 to 2007, he was "failing, but I didn't realize it yet." "I wasn't making enough profit margin, I wasn't in enough stores, but I was still waiting tables, and it was really a fun activity for me," says Gold, who started the company in Boulder, Colo.
Want to build a strong brand with a huge following? Learn everything you need to know about branding in our online Brand Strategy course. Then inspiration struck him while he was on a mountain bike ride: Why hasn't anyone put nut butters into a squeezable pouch? he wondered. That answer would lead him to a two-year struggle that he calls his greatest challenge yet. After not being able to find a manufacturer to put his product into tubes, Gold had to raise money from his roommate's parents to buy his own machine. Once the packs were finally ready and on the shelves of Whole Foods stores in the Rocky Mountain region, Gold was hit with another challenge: No one was buying the squeeze packs. "I was devastated," he says. "But being curious, I had to ask myself: This is really good idea. Why the hell isn't this working?" It turns out that his original thesis -- that people would want squeezable peanut butter as a form of energy while doing physical activity -- was wrong. So as a "Hail Mary," he says, Gold asked Whole Foods to move the squeeze packs from the energy bar section to the peanut butter section. 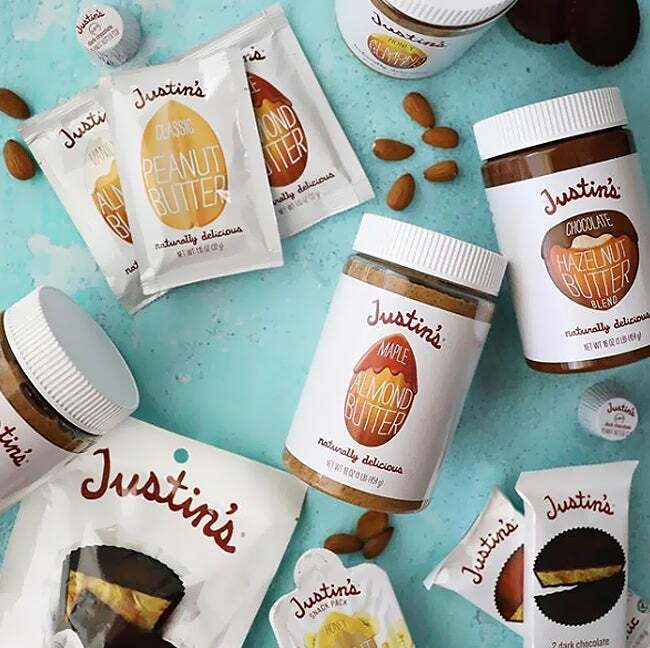 That one move triggered huge growth for the company, because consumers treated the squeeze packs as both a way to control portions and as a trial for Justin's more expensive nut butters, Gold says. "Now our jars, which used to be struggling, were accelerating, and this whole new category of squeeze packs was created," Gold says. "Once I learned where in the store to sell it and how to sell it, I was able to rewrite my business plan, raised money from local angel investors and then scale that business to have more of a national footprint." A decade later, Gold would sell the company to Hormel for $286 million, makers of Skippy peanut butter, while retaining control. 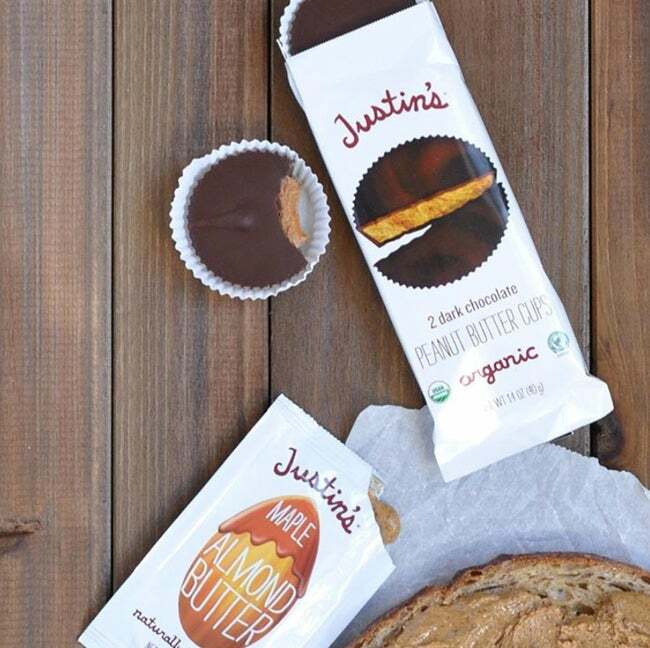 Justin's products, which also include chocolate peanut butter cups, are sold in more than 32,000 stores and were expected to have $100 million of net sales in 2017. Entrepreneur spoke with Gold about building the brand, dealing with setbacks and the blessing and curse of having a brand named after yourself. Can you tell us how you got into this business? I was on the track to go to law school in central Pennsylvania, studying environmental law, and I interned for a law firm. I just became completely disillusioned with law after the internship. So I dropped out of my LSAT program, graduated with a degree in environmental policy and wound up in Boulder, Colo., waiting tables. The goal was to go back to school. While I was waiting tables, I'm vegetarian, so I was eating a lot of peanut butter and almond butter for protein. Eighteen years ago, there were two types of peanut butter: smooth and crunchy. I was curious why weren't there more types of peanut butter. I started making peanut butter and almond butter for fun, and I would add honey, maple syrup, chocolate and cinnamon, cayenne pepper and all kinds of spices, and I came up with some really amazing flavors. As I was compiling all these recipes, I would take these little jars that my roommates were constantly stealing and eating. Finally, I put my name on the jar. That's what gave me the idea of starting a business. What were the broad steps that you took to go from jar in your apartment to jar on the shelf? The first thing you have to ask yourself is, Is there anybody out there who can make this product for me? If there is, what are their minimums? What are the costs? Does it make sense to have them make it for me? There were a few companies who could, but it was cost prohibitive to work with them, because their minimums were so high. So, I asked, Is there anybody out there who has some of the equipment I need? I found a salsa company in Denver that had a jar filler, and it had a labeler and all these things I needed. I negotiated that on nights and weekends, when they weren't in production, I would come in and use their facility. I did that until I grew enough volume for when it made sense for me to move into my own kitchen. How did your peanut butter cup play into your business? The peanut butter cup was a beautiful accident. For fun, I started making my own organic peanut butter cups. Against the advice of my board, we launched this peanut butter cup. It opened us up to a whole new consumer base, and it got the attention of Starbucks. Then the entrepreneur paranoia starts to kick in. I couldn't protect anything. I didn't have any IP on the squeeze pack or peanut butter. All I could do was move to market quickly. The other thing I was paranoid about was food safety and quality. In the nut butter industry there's a recall almost every year. So I went out and looked for a sophisticated investment partner, somebody who had a lot of experience growing and scaling food companies, who could help me grow this thing the right way. But growing the business and taking on institutional capital has a consequence: You've got to pay these people back someday, and they're expecting to make a good return on their investment. [That's why I sought to get] acquired by a strategic partner. I picked Hormel, because they would give us the freedom and autonomy to continue being a mission-driven organization that I can have a very strong role in. What's it like working under Hormel? Hormel is really like a big brother. If we have some food-quality issues, they're going to help us. If we have some sourcing challenges, they're going to help us. They're going to help us through the good times and the bad, which is what we really need. The world is changing, and we're a different generation. They're going to learn from us, I'm hoping, as much as we learn from them. What can entrepreneurs learn from your experience getting into Whole Foods nationally and then from your experience in getting the peanut butter cup out? Before any entrepreneur with a product goes national, they have to understand what works. Where do you sell your product in the store? How do you message your product to consumers? And how do you get consumers to notice and buy your products? You have to figure out a strategy locally, then you take that strategy and extrapolate that out nationally. Some things will still work, and some things you'll have to pivot. You just can't put something on the shelf and expect it to sell. The one thing I learned with launching the peanut butter cups was that it was a blessing and a curse to launch a new product into a different category. The blessing is you get new consumers to notice the brand. The curse is you have to duplicate all your efforts. So whenever you go to meet with a grocery buyer, you have to meet with two different buyers. It just adds a layer of complexity that if you're not ready for it, it absolutely can crush you. What marketing tactic has been most effective for Justin’s? Our biggest marketing advantage is that Justin is a real person. We can leverage the persona of the brand or this character named Justin, so we can message our voice with personality. We can message our voice with purpose. A lot of people can connect to food products, because they connect to the philosophy behind it. They know that a person's driving it, and they connect to that person. But it's a blessing and a curse to name your business after yourself. The blessing is that it creates this authentic voice. The curse is you're really in high demand, because everybody wants to talk to Justin. Every day has to be your best day, because nobody wants to meet Justin and he's a jerk, tired or whatever. It's interesting you refer to the brand as a character rather than a reflection of yourself. Justin's the organization, the way we treat people, the way we communicate is definitely a reflection of myself. But also the brand has to be your idealized self. The brand has to be perfect, and most people just aren't. So who gives interviews: Justin the person or Justin the brand? You start to become the brand. A lot of times when somebody meets the founder of a business, they have their own perception of what a founder should be. After time, you start to become that, and you didn't even mean to -- it just happens. I think it is a little dangerous, because you want to create a healthy separation. My ultimate goal is to have a very loud and strong voice in the food industry. The only way that I know of having a credible voice in our industry is to be successful. I want our food systems to change, and if Justin's continues to grow and be successful, it gives us a voice. So my goal for the next three years is to double our business, to create new products, try new things, fail fast and to have fun.